E2M achieves level D and level C certifications | E2M Technologies B.V.
E2M is pleased to announce that, as a first in a long line of planned certifications this year, level D and level C certifications were achieved with simulators including E2M Motion and control loading products. 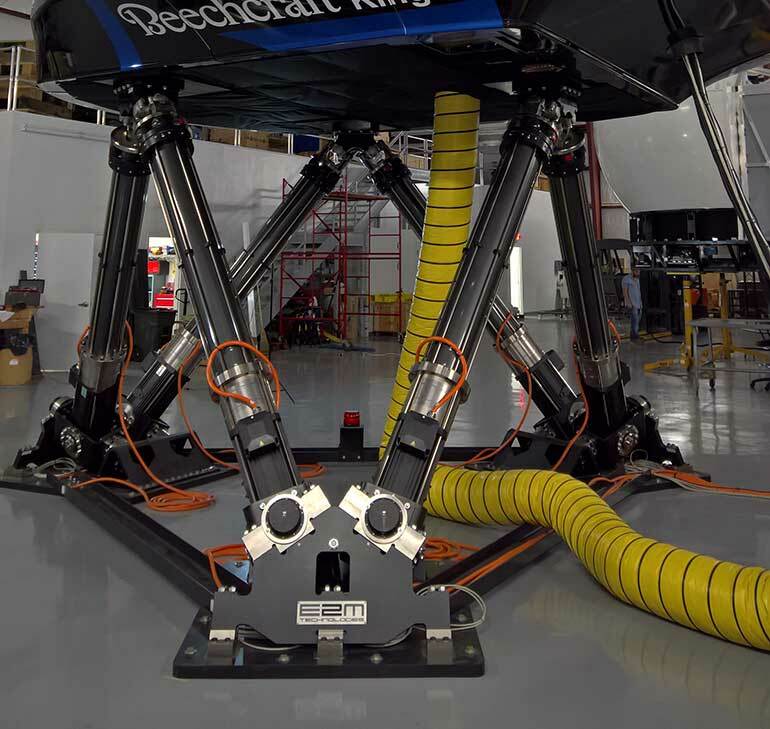 E2M Motion was used by Aeronautical Systems Engineering (ASE) of Odessa, Florida in their level-C certified King Air C90A full flight simulator. E2M Control loaders were used in a level D certified Boeing 737 simulator.